The Pacific Ocean driving weather and therefore water have shaped the Headland's contours, helping to create and sustain its life. Water on Pedro Point comes from rain and fog. Strong winds are common on the headlands constantly eroding and reshaping land and life. Pedro Point Headland weather is often dramatic, sometimes gorgeous, but almost always in a state of change. In the winter, it rarely freezes averaging 48.6° F. In the summer, the temperatures average around 63.8° F. Yet, heavy winds sweep over the Pacific and buffet the headland. Salt spray is lifted up over its cliffs saturating vegetation near the edge. 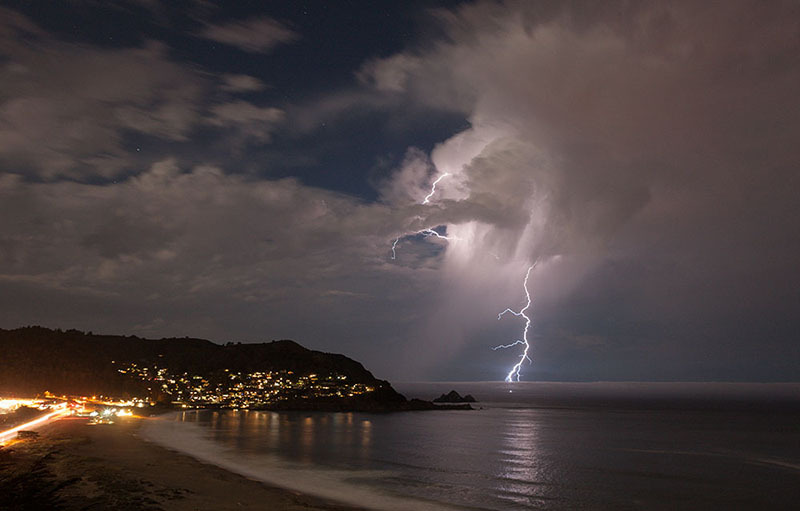 In the wet season, from October to April, violent storms sometimes pound the coast and bring an average of about 28 inches of rain per year. During the dry season of May through September, about 1.3 inches of rain falls. Inland native plants are forced to tolerate hot and dry conditions during the summer and vegetation on Pedro Point is much less impacted. Coastal fog is the persistent layer of a low marine cloud formation that blankets the coastal margin. Fog is water vapor that has cooled past the due point. Cool, moist winds off the Pacific encounter frigid, upwelled waters near the coast and lead to condensation we call fog. High elevation hot air masses from the interior move towards the ocean, ultimately turning downward creating a so-called 'thermal inversion'. This prevents fog from dissipating into the upper atmosphere. Winds and warmer weather in the interior move the fog inland until it evaporates. 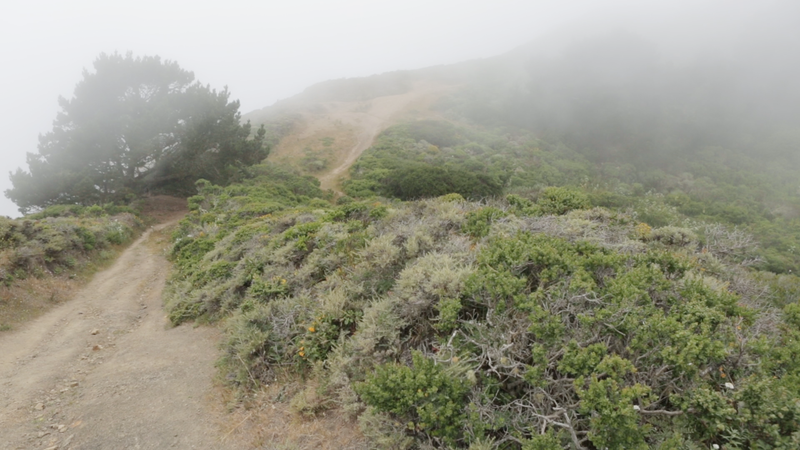 There is abundant fog on the headland during the summer. It cools and moistens vegetation adding some water to plants by both fog drip and leaf uptake. The fog also reduces evapotranspiration, slowing down water loss from plants during the long dry season. Moderate temperatures along the coast and fog in the summer are the keys to the floral cascade on Pedro Point Headland from December through September each year. Fog on San Pedro Rock.